The array of eclectic home decor collectibles, from fine chinaware to metal and glass vases and statues. The Decor Kart's range is stunning and affordable. I fell in love with the blue and white kettles which can be put up on the walls and/or used as vases. The heavy, robust cast iron kettles would be a collector's pride. The Chinese floral patterns on ceramic stools will add a touch of delicate beauty to any corner of your home. The vibrant red lacquer work is absolutely scintillating. They also have metal wall installations which are striking and bold. Other than that, there have porcelain figurines, quirky jars with lace and ribbons, and photo frames in every conceivable material. 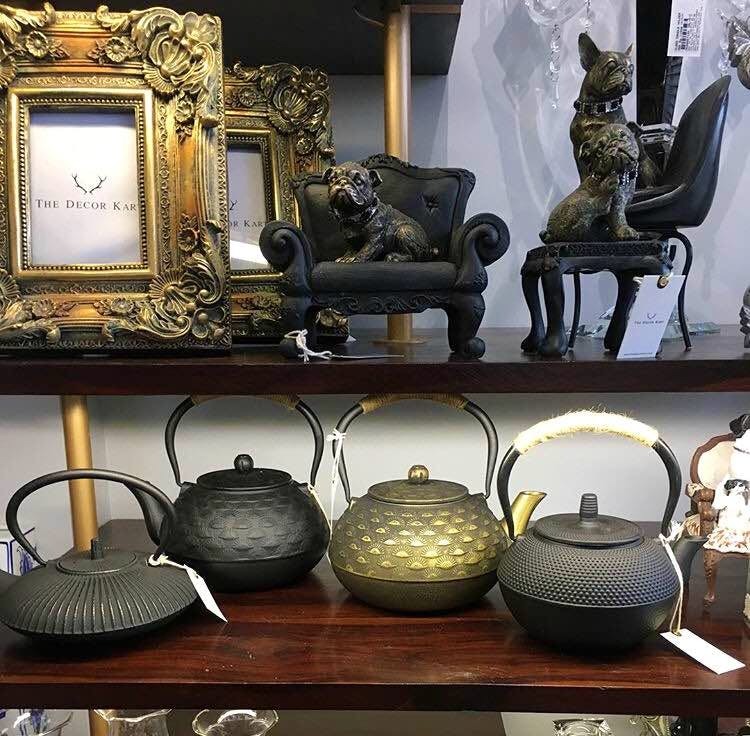 The plethora of stunning home decor accessories is endless and diverse, so take out time and go check them out at a leisurely pace, you'll end up spending time here admiring the beautiful wares and then finally picking something special for your home. They should expand the store, it's a bit small considering the huge range they have to offer.